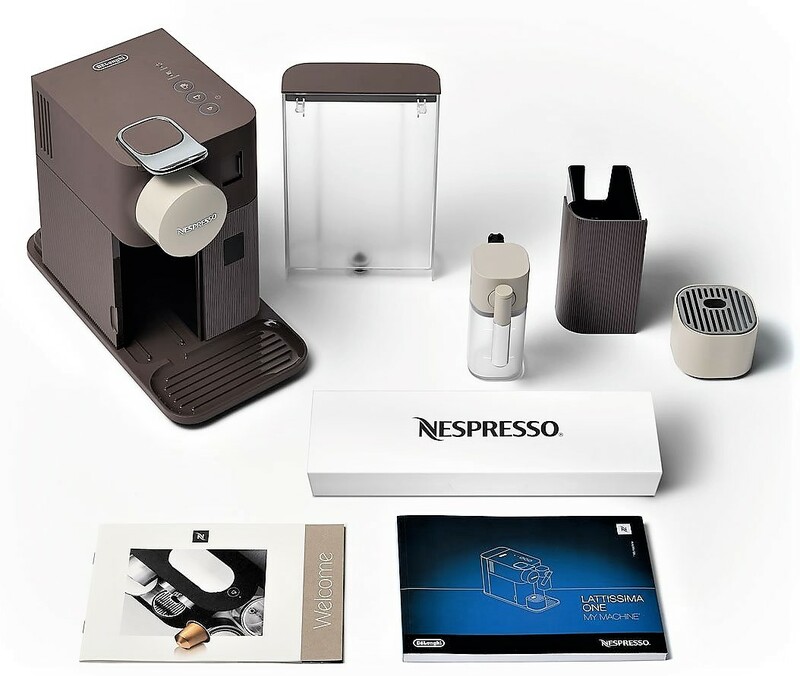 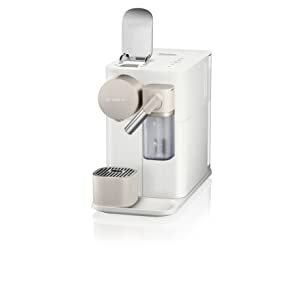 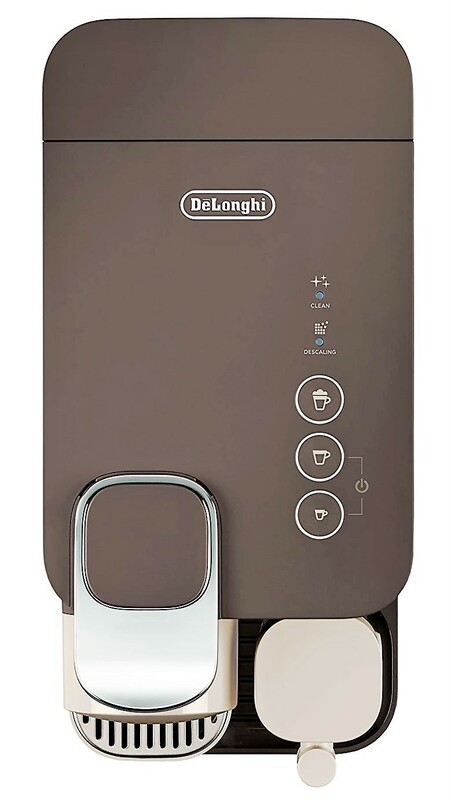 New exclusive single serve system within the Delonghi patented automatic cappuccino thanks to an optical sensor, machine recognizes the quantity of milk in the jug and uses all, avoiding any waste. 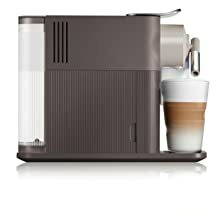 Available in mocha brown and silky white. 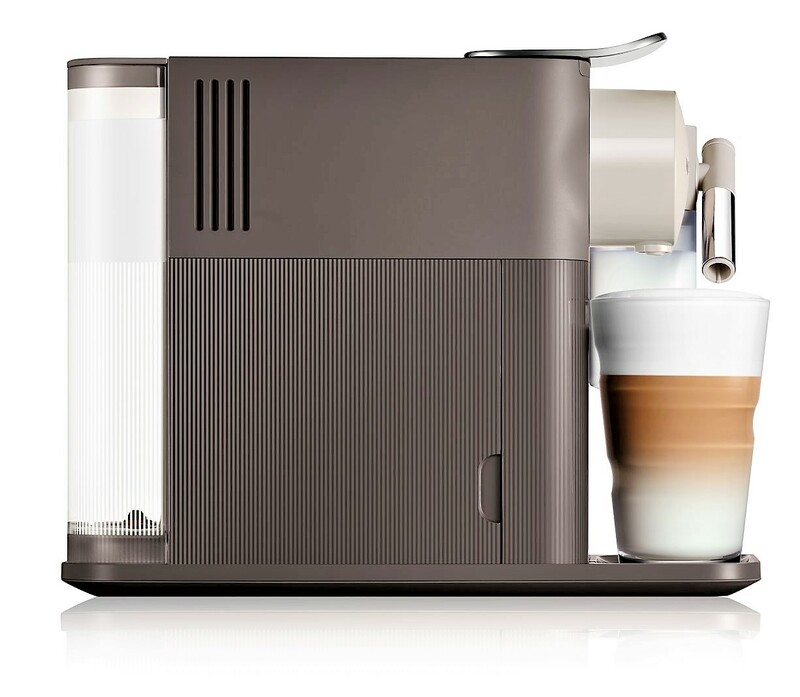 Elegant and intuitive interface with 3 backlighted buttons to select the favourite drinks in an immediate way. 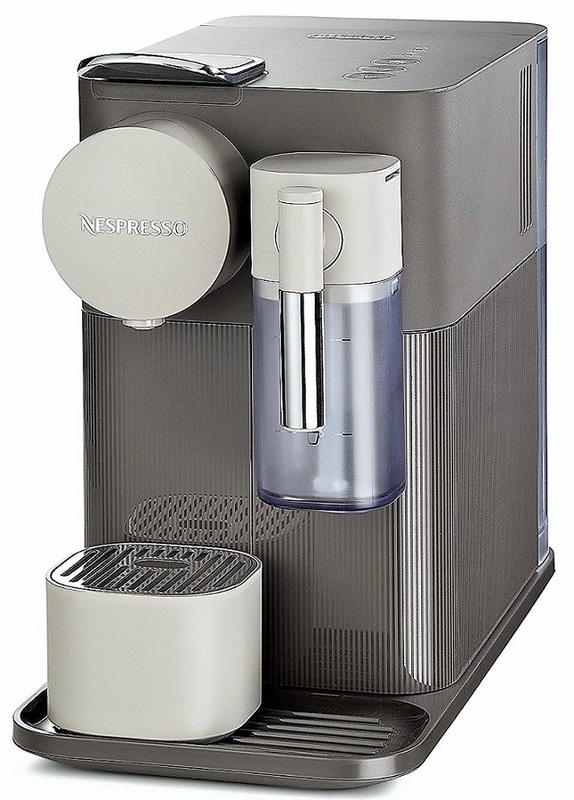 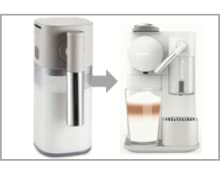 To prepare delicious 'cappuccino' or 'latte macchiato' using all milk in the jug, without any waste. 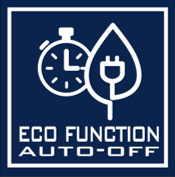 Auto Power off mode setting after 9 minutes from the last coffee.